Woman’s advocate and specialists Leslie Peter’s RN has a very interesting perspective on the topic of “Adverse Childhood Experiences”. Here experience is a direct result of being the victim from childhood abuse from her father as a child, as well as counseling thousands of women who have been the victims of childhood abuse. Leslie has worked with women in impoverished communities as an registered nurse in a hospital, and as she would question these women upon admission to the hospital she heard and saw first hand how much of a problem “Adverse Childhood Experiences” were affecting these women from being able to extract themselves from poverty. The condition also has adverse effects on their mental and physical health as well as a very challenging problem to deal with. It is difficult at best for these women to shift their psychological mindset so that they can extract themselves from being stuck in this insidious cycle. I took this opportunity to have a very open and frank dialogue about “Adverse Childhood Experiences” If you have been a victim of Adverse Childhood Experiences then I would recommend that you listen to my interview with one of the foremost experts in the field. If you would like to learn more you might want to click here to be directed to as study commissioned by Kaiser and the CDC. 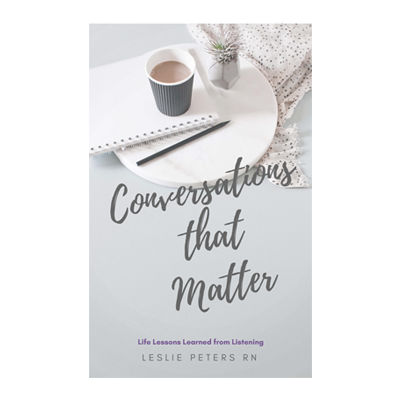 You can also connect with Leslie Peter’s RN by clicking here to be directed to her website, or you can click here to be directed to her Linkedin page. I hope you enjoy this very interesting podcast with Leslie.